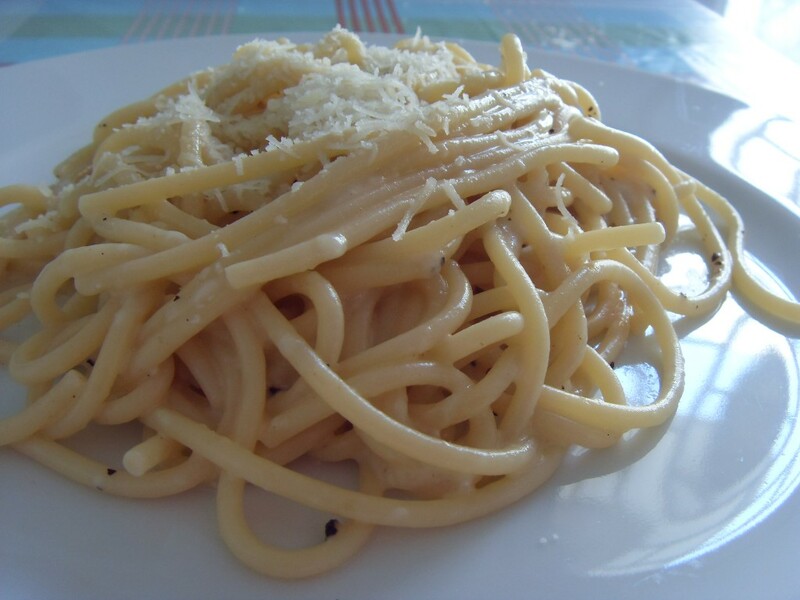 Spaghetti al cacio e pepe. 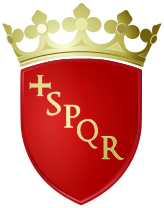 From Rome. This is another recipe that I cook a lot, but have never got around to posting. Spaghetti (vermicelli is a synonym for spaghetti) with pecorino and black pepper sauce. Anyone who has ever been to Rome will know it. It seems like almost every trattoria there has it on the menu. 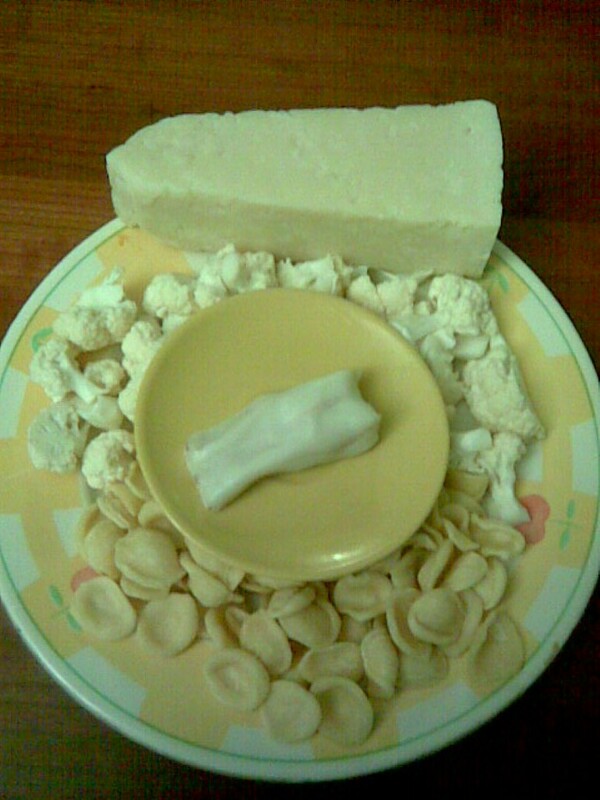 It is very simple, just three ingredients, but one of my favourite ways to eat pasta. It is always worth spending a little more to get really good quality ingredients, but it is especially important to use good cheese with this dish. 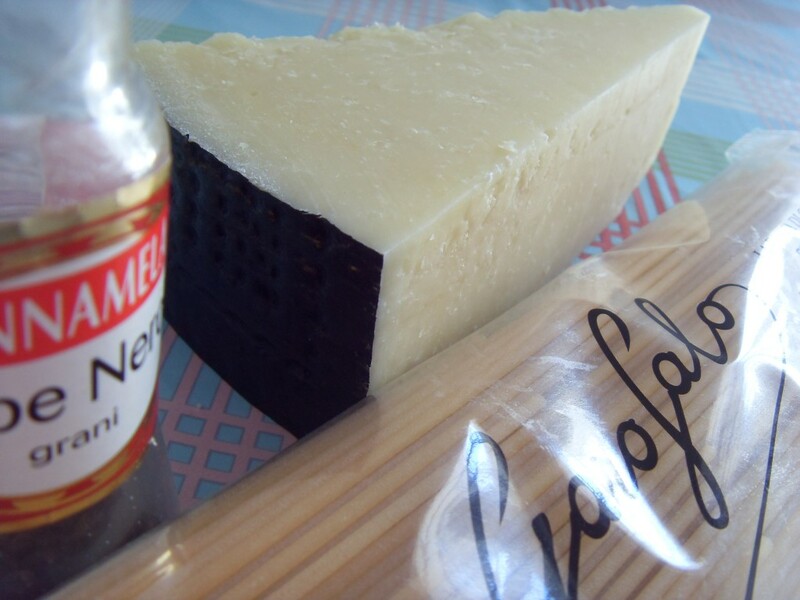 Use a good Pecorino Romano DOC (PDO). Serves 4. 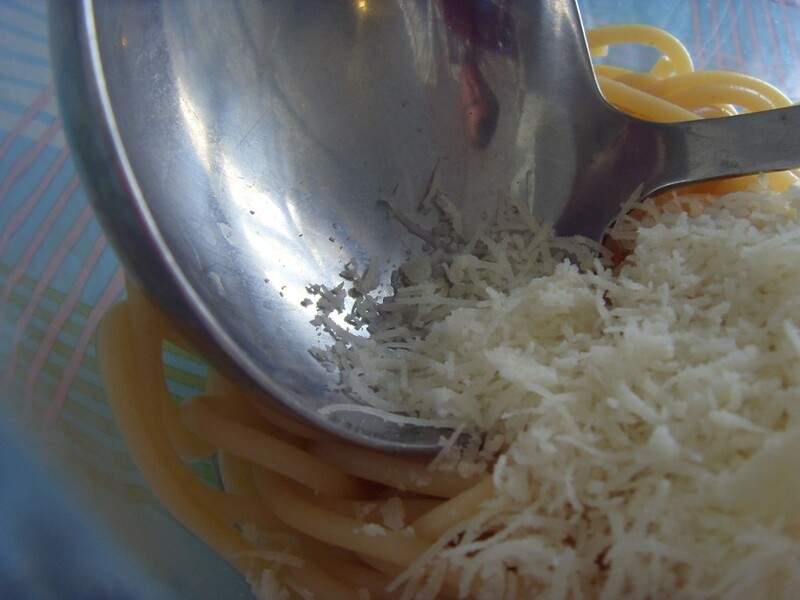 160 g Pecorino Romano, grated. Lots of freshly cracked black pepper. Roughly crack the pepper corns. You can use a pestle and mortar, or as I do a coffee grinder. 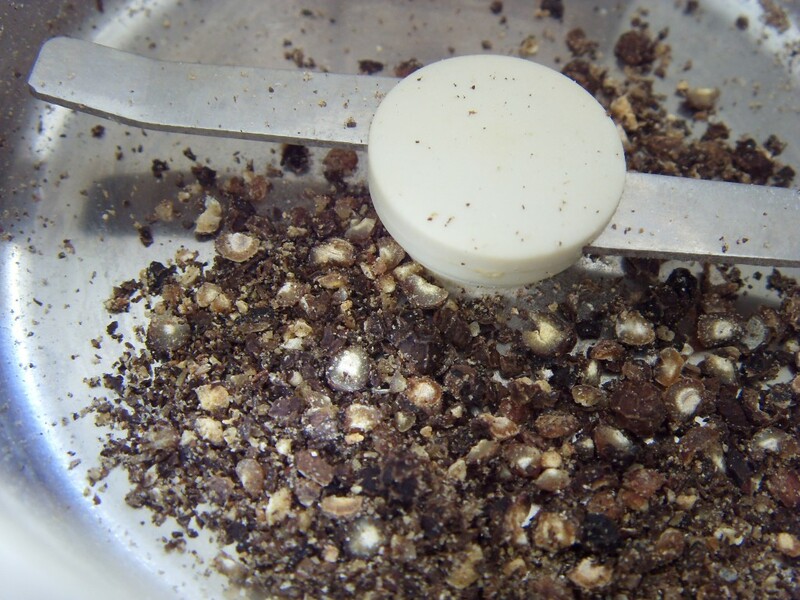 How much you add is a matter of taste, but it’s very important that it should be freshly ground. Don’t grind it too finely. Cook the pasta until it is al dente and drain, reserving some of the cooking water. 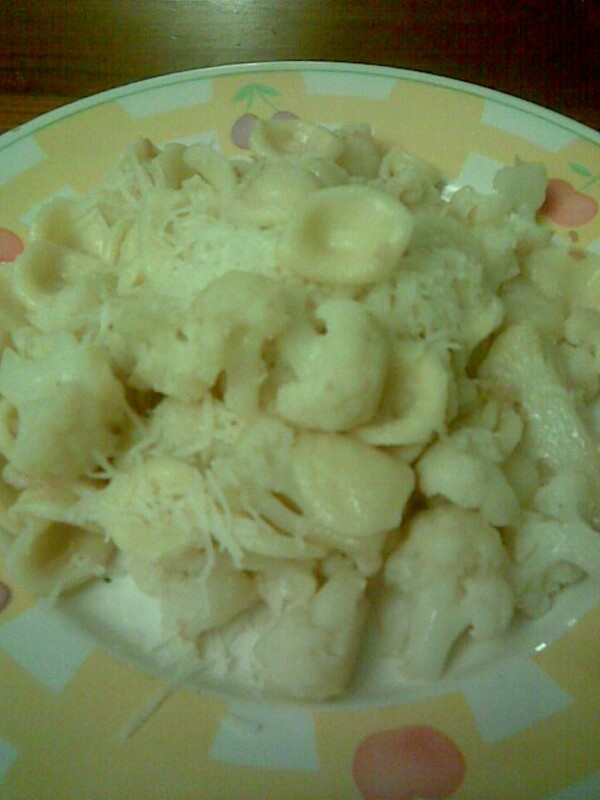 Mix the pasta together with some of the cooking water and most of the cheese. You should obtain a creamy sauce that coats the spaghetti well. If the sauce is too wet, add some more cheese. Likewise, if the sauce is too dry, add some more cooking water. Add the pepper and mix again. Serve topped with the rest of the cheese. Add the cauliflower and fry in the fat for a couple of minutes.